Today we have a super cool card by Tatiana that tells a story! This card has three panels that fold out, each featuring a different character! 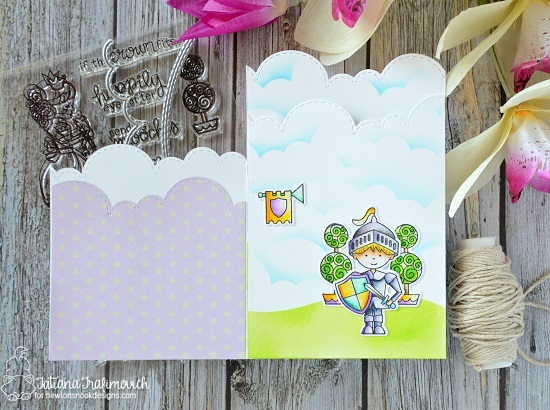 To set the story she created a fun card front using the Sky Borders Die Set to trim a fun cloud border across the top. She also used some pieces that she had trimmed out from the Sky Borders Die Set as masks to created those layers of sponged blue clouds! On the front of the card Tatiana used the cute little dragon from our Knight's Quest Stamp Set. She colored him and cut him out using the coordinating Knight's Quest Die Set. When you open the card you next see a scene featuring the knight from our Knight's Quest Stamp Set. He's standing in front of those cute little topiaries from the Once Upon a Princess Stamp Set too! The fun cloud background continues too! 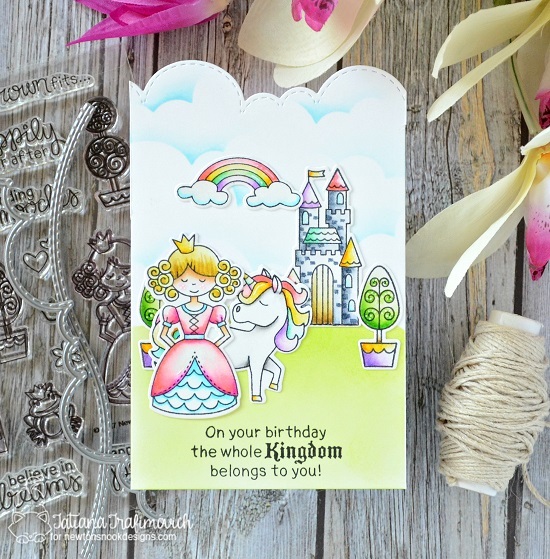 On this panel Tatiana used the princess, topiaries and castle from the Once Upon a Princess Stamp Set and the unicorn and rainbow from the Believe in Unicorns Stamp Set to make this adorable scene! She added in the sentiment from the Knight's Quest Stamp Set too! It's so awesome how all these sets work so perfectly together! 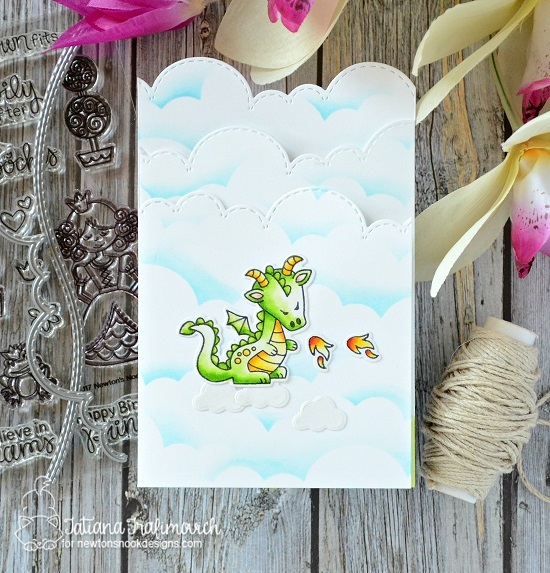 You can pop over to Tatiana's blog to see more details on this card at Tatiana Craft and Art! Make sure you check out her other beautiful creations too!